The common delusion (under which I’ve also been for some time) is that you can use any image you find at Flickr as long as you link back to it. Well, this is wrong. Let’s try to figure all Flickr image license types to see which images you are allowed to post at your sites and blogs. Note: in all the above cases, when linking back to the author’s profile, you can use ‘nofollow’ attribute. But this fair use does not refer to the cases when you use images for decorating purposes. How to search for images with appropriate license? I have had some questions about this myself. I knew there were some differences in which ones you can use and not use so thanks for helping clear that up. There is a really cool wordpress plugin called Photo Dropper that I use that allows you to search for creative commons use photos on flickr directly from the admin panel in WordPress. The really cool thing is it will insert the image your want to use as well as automatically create the link back to the author. Useful post, as it helps address the common misconception that you can use any flickr image you want. As you’ve pointed out, this is definitely not the case – only CC-licensed images can be used, providing you meet the license conditions. Note that if you find an image on flickr that’s not CC-licensed, and you still want to use it, you can contact the person who posted the image, and request permission to use it. @Gerald, cool plugin suggestion! Thank you! @Martin, thanks for the tip! Honestly, I thought it was safe if we just linked back to them. Looks like there’s more to check. Wow, thanks a lot. I was in the understanding all these images were just to grab. Also I thought they were acquired by Google, but now again this might have been another company. Anyone? There is something else to mind when using an “Attribution-ShareAlike License”. When you license your work using “Attribution-ShareAlike License”, people who use your work, making any modifications on it; they MUST link back to the author (in this case you) and SHARE THEIR WORK with the same license (as you did) . Thank you for publishing the benefits of the creative commons licenses. I started using them last year on an academic project named Open CourseWare and now I am a big fan! As someone who has had his photos stolen several times from flickr for use on minor and major blogs alike, IK truly think the public needs to be better educated on copyright, fair use, and Creative Commons. Despite marking my photos as Creative Common Attribution Share-Alike, I have found my photos on other sites and even marked up with others’ watermarks. I truly wish people would be more respectful of Creative Commons. Unfortunately, I may need to move to “whole-image watermarking” in the near future to prevent such ignorant theft by flickr browsers. It’s a shame. “as long as you link back to the author” not really, you just have to mention/credit the autohor no link is required although a link back is a nice way to do it. Nice post, pointing out a very common misconception amongst the online community. I know many of my city daily photo community have started watermarking all their images, some discretely and some very obviously. When I started my photoblog I certainly did not realise how many images were taken, often with no credit/link. If people ask, I would most likely be agreeable to them using my photos. Thank you for the post. Sourcing imagery can be a time consuming process – finding the right image can make or break a design. Once you have found the best image its only right to seek permission to use the image – this is essential. yeah, I agree but there are plenty of other free photo sites are available on internet so why to worry about flickr ? I’ve given the whole web photo stealing idea some thought. To me it boils down to who’s getting paid. The creator and the thief seem to have potential for payment no matter how the photo is used. Most of these photos wouldn’t even see the light of day without thievery. If you’re using the photo for decoration the idea would be that it would drive traffic to the thief site in turn possibly generating revenue. In turn, the creator gets free publicity. My hope as a photo creator is that my work DOES get stolen, and by a lucrative thief with a good site. Then all I have to do as good a job getting my work exposed on a paying basis that I control. Doesn’t it make sense that if you absolutely don’t want your work absconded, maybe you should make right click saving it impossible. It’s just so silly. If I photograph an apple, it’s still an apple no matter where it’s placed. If it’s unique, and not an apple anymore…then who’d really want to eat it anyway without getting used to it. Enforcing the monetary damages for something like this becomes even sillier since anyone robbing an image could not likely afford to generate original work, so all you get is a cease and desist out of it. Zero sum in my book. In turn, the creator gets free publicity. My hope as a photo creator is that my work DOES get stolen, and by a lucrative thief with a good site… Doesn’t it make sense that if you absolutely don’t want your work absconded, maybe you should make right click saving it impossible. It’s just so silly. Howard, perhaps you should read the blog post you are commenting on then. There is an appropriate license for those who want their work “stolen”. Also, just so you know, in addition to it being impossible to make an image viewable and unsavable at the same time, that attitude is similar to saying that because someone didn’t spend $100k on a security system they deserve to have rob their house. Property and rights are concepts that you either believe extend to the digital realm, or you don’t. It boils down to permission, not benefit. Important reminder and clarification for people. I think it’s also crucial to point out that Fair Use is different for lots of countries, especially the US and UK. Site owners need to be aware of the laws that apply in their country. So lets sat Flickr allows embedding for a particular image. Actually Flickr allows embedding for pretty much every image. So why do they do that, it is endorsing to violate laws. Keep in mind that for example for Youtube, you are allowed to use embed videos, if the uploader is legit. I do not know why would it be different with Flickr? Anyway there is a good site, that automatically makes correct attribution for a CC image from flickr – http://www.imagecodr.org/get.php. I guess you should include it in your post. I use it everyday. 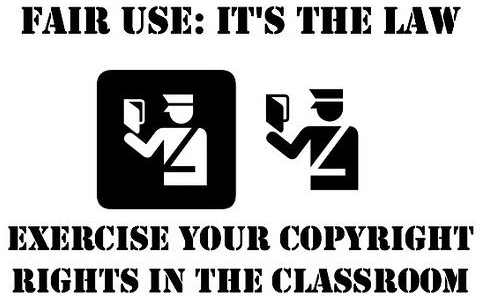 In college we talked a lot about copyright licenses and a lot of people believe that if somebody didn’t go through many steps, they do not own copyright, but this is entirely incorrect. It is so important to make sure you are using the correct images. Excellent post! This is an excellent post. It’s so easy to do a Google images search, save it, and rename it assuming you’ll never get caught- but with the rise of Internet lawyers it might not be long until people really start getting held accountable for the images they use. Can your work be labeled “For non-commercial Use” if it is not your original work? If the artist/author, etc., has been dead for at least 70 years their work is of public domain. This has been an argument for some time now, but according to the U.S. laws the artist/author of a creation is the only one that can take a copyright out on his original work. So if you took a photo of someone’s original work and added lets say a frame, or changed the color, or used watermarks, that does not give you the copyright on the original work or copy of the original work. From my understanding of the laws here in the U.S. you can copyright your frame or whatever additions you made to the work but not the original work itself. We have the “slavish” proclivities and should not take advantage or try to copy someone’s work, take ownership/license of it and then try to make a profit. If it is your original work, then have at it. Most people don’t realize the laws here in the states. We need to be more educated. There are so many people trying to get over on someone else’ work. That’s not cool. I am a student at an art college (I work full time and going to school at the same time) and I find it really time hard to find good photos. For the projects I am working on, it is expected to use very high quality photography and photos of a particular style. Sometimes, the topic is so distinct that you can’t just go shoot your photo (e.g. 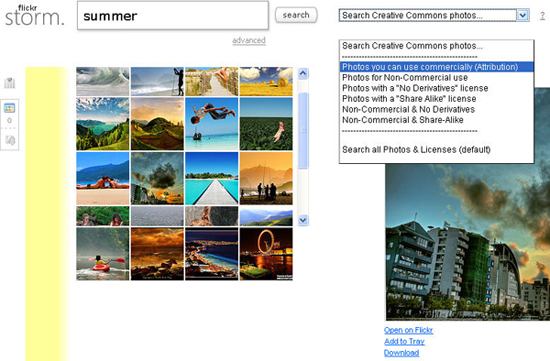 if it’s travel or location related) or find good creative commons photos. Is it okay to use photos for student projects, that will really only be featured on my personal portfolio website? (e.g. a brochure or some kind of marketing material).